Christmas Day 2013 - CounterCultural. CounterCouture. The purpose of it was to remind our friends about the meaning of Christmas and why we even celebrated it. The event was created by a 15 year old friend of mine and attracted over 100 attendees. 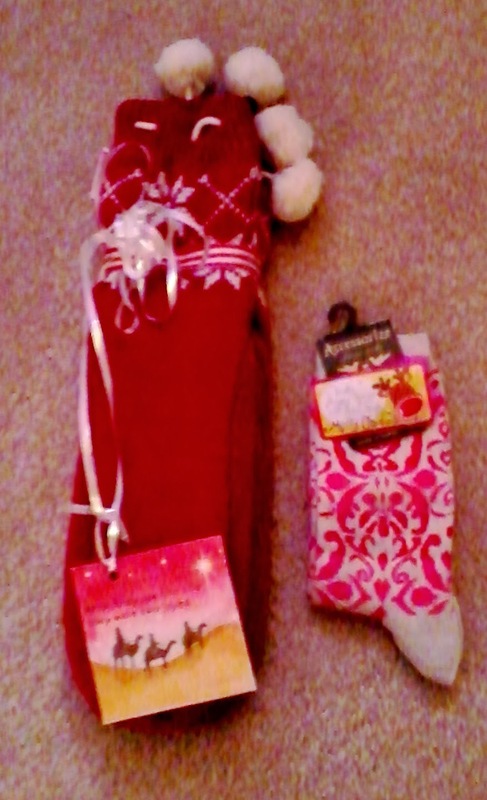 Once the rest of the family awoke, it was time for breakfast and stockings. We treated ourselves to a cooked breakfast before moving on to Santa presents, as stockings are affectionately known. My wonderful little sis. ‘Santa’ was definitely encouraging her studies with highlighters, pens and paper pads galore! This year ‘Santa’ seemed to be rather knowledgeable about where I worked, giving me cold weather gear for when I’m stewarding the monument at Stonehenge. But my favourite one had to be the chocolate modelling book… keep an eye on instagram for cute choccie animal experiments! Chocolate animal modelling. Cannot wait to have the time to try out some of these cuties… and no doubt make a mess of them. After stockings, the Christmas service is next on the list. Though I no longer attend the same church as my parents, I made the decision to be with them as Christmas is about family. The service was fantastic, with the best bit being a hymn written to the tune of Jingle Bells. Absolutely hilarious but at the same time it created a real sense of community and fellowship. After the service came another family tradition… Christmas Day walk! Yes, my family really can be that active but at least we deserve dinner afterward. This year we just went up to the local woods and into a village/suburb before exploring the damage caused by storm floods from two nights before. 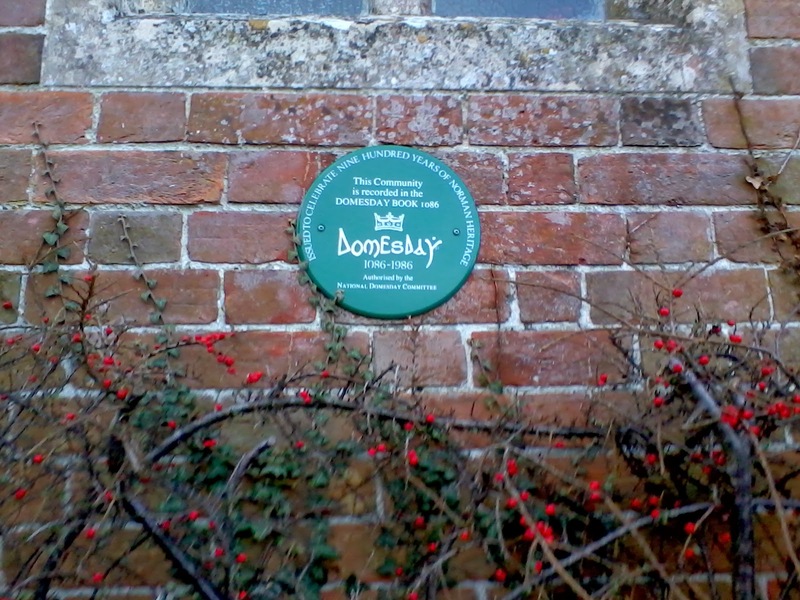 Highlight of the walk was discovering this plaque on Bishopstrow village hall. Admittedly I’m a history geek but I thought it was pretty cool. Bishopstrow is listed in the Domesday Book… WOW! Once we returned home, we sat down to steaming bowls of lentil and vegetable soup. Yum! But don’t worry, Christmas dinner will make an appearance. We have it for the evening meal and all join in the preparation. After soup came the presents, Queen’s speech (which I should rewatch as I paid no attention) and whatever films are on the box. The film was Toy Story 3 and I blubbered so much at the end. Always been a softie! Presents-wise, everyone ended up happy even if some were a surprise. I gave everyone a piece of fudge from the Fudge Kitchen (you have to visit the Cambridge shop! Family favourite) but after that the fun began. To the parents I gave chilli jam, potted venison and a meal out at a gastro pub or restaurant of their choice. 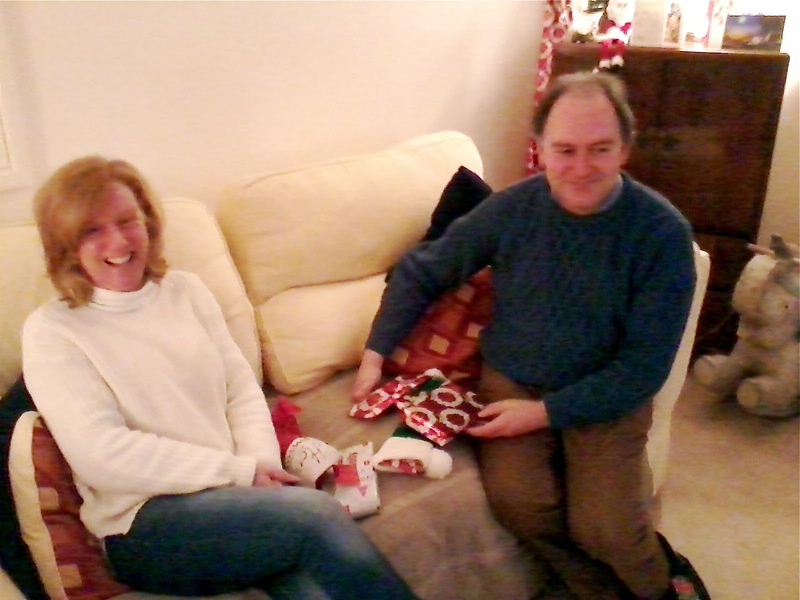 Needless to say, they were very happy and chuffed with the gifts. My little sister was a mixed bag though. She loved the fudge and the polar bear hat I gave her. (I’m incredibly jealous of how good she looks in all hats.) But the toffee vodka was a slightly more tricky present but I think she’s come round to the idea of it. 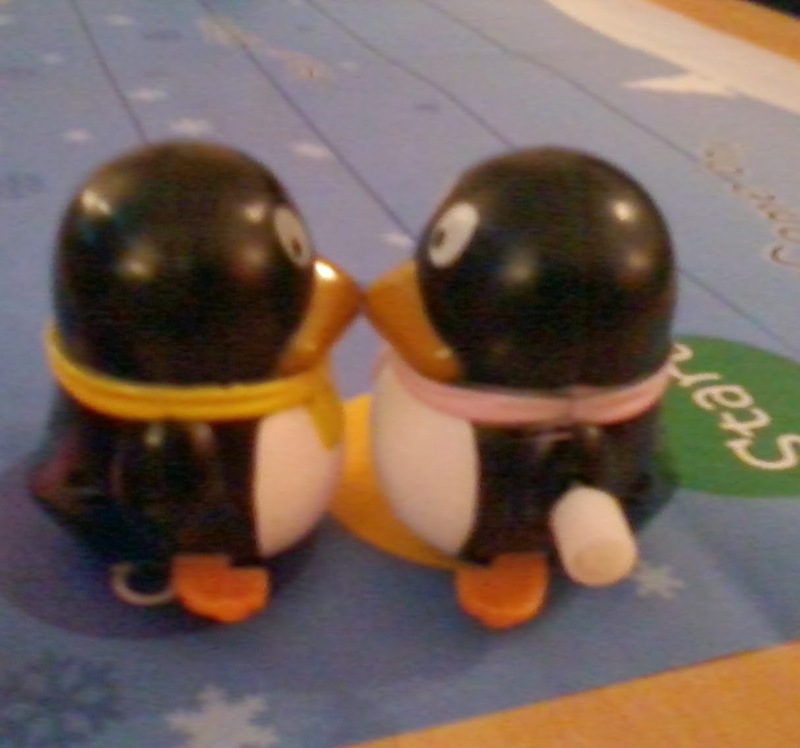 As for my own presents, I was more than chuffed. I may not have received everything I wanted (i.e. a subscription to Look) but once again my family showed just how well they know me. 1) I’m from a family of foodies and I’m a massive one. Forever delving into my dad’s recipes books and mum’s cake books, I love to cook and bake anything. 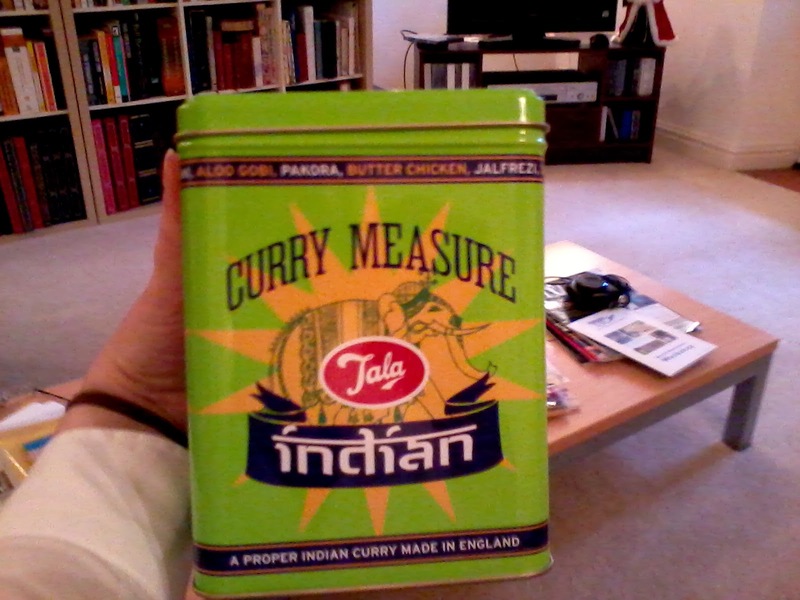 So my parents made full use of my foodie-ness for present inspiration. 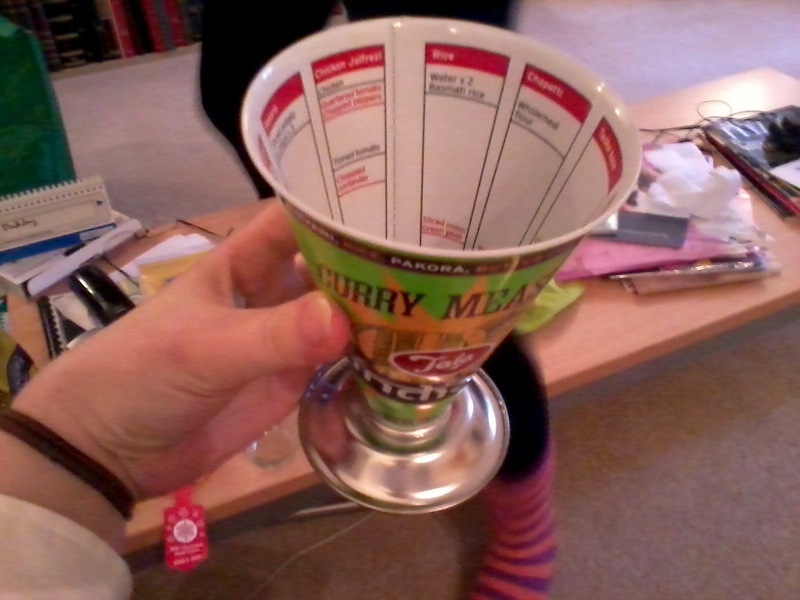 This epic measuring device has the measurements for each curry’s ingredients labeled inside. Following a recipe couldn’t be easier now! 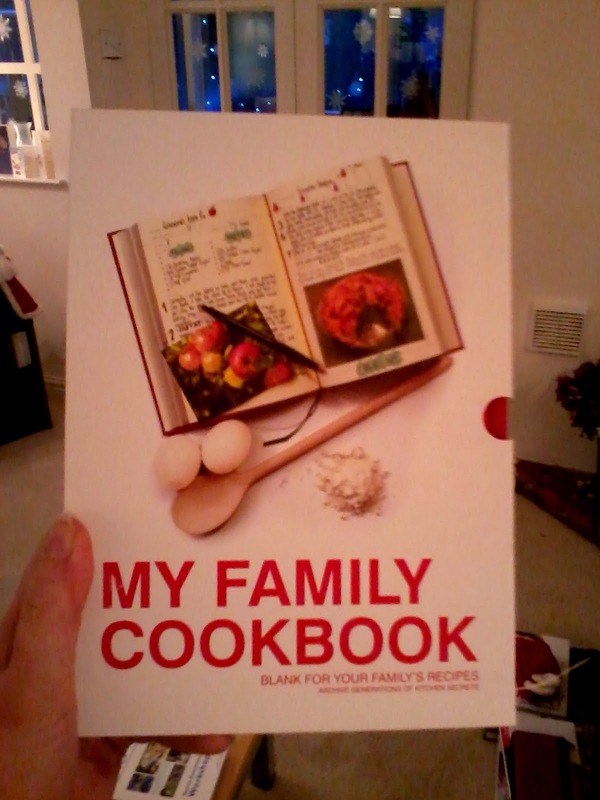 This cookbook is actually blank so I can add in my favourite tried and tested recipes. Dad also claims it’s a hint to start my own family… I shall ignore that for now. 2) My sister and I are ‘out-of-the-closet’ geeks but in very different ways. However, we both love our TV series. So when Granny gave me the third season of Smallville (I have the first two) and the parents gave us both The Big Bang Theory Christmas episodes, both of us were very smiley. 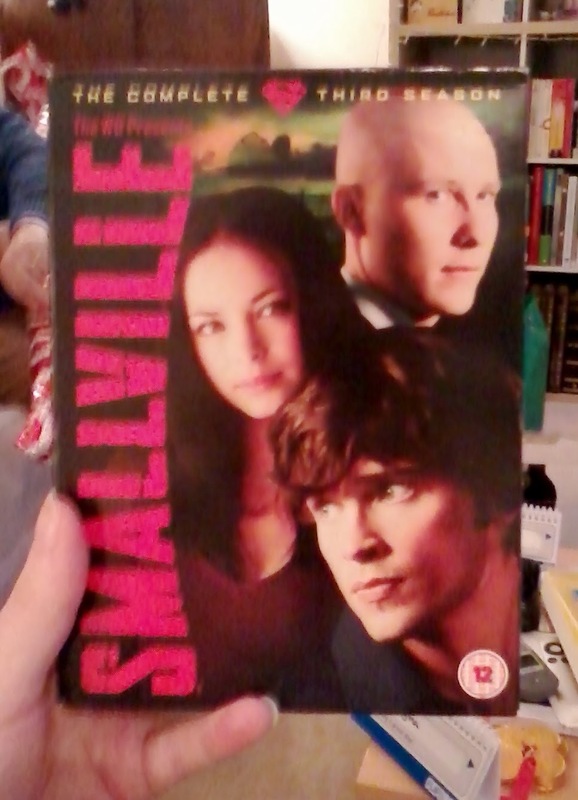 Smallville!!!!! I’m a big fan of most things superhero but add in some teenage angst and I’m hooked. 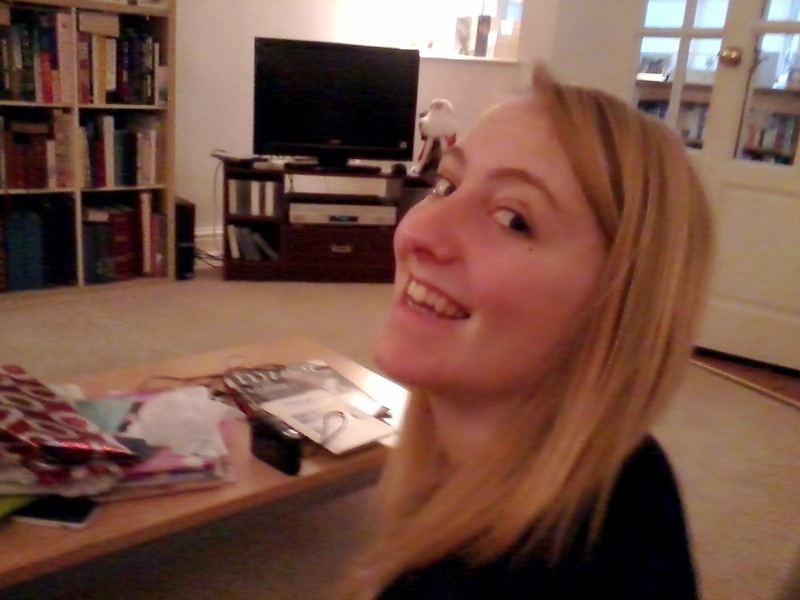 My sister overjoyed with The Big Bang Theory. Looking stylish in her new hat, Polo. 3) My parents managed to tick the unconventional style box too. 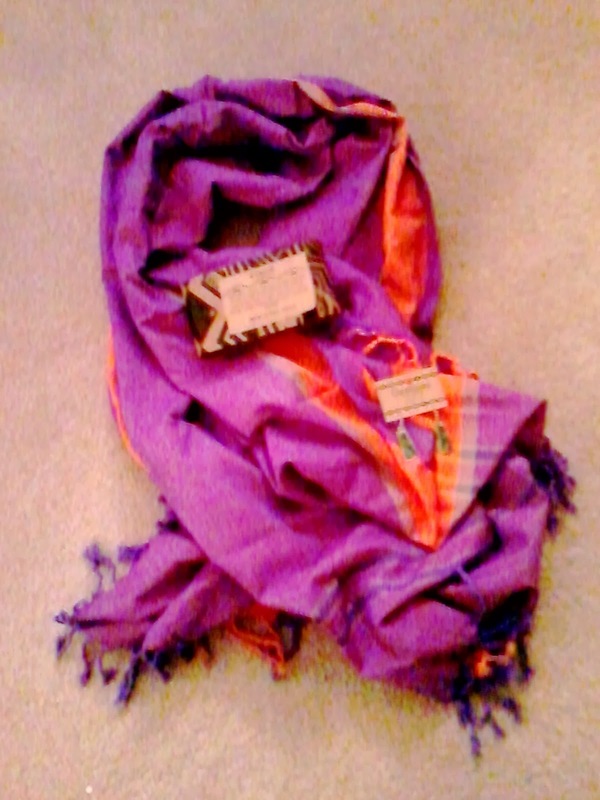 The scarf is a sarong-type wrap from East Africa, traditionally worn by men. The totally accidental part is that it comes in two of the hit colours for SS14, purple and orange. Well done parents! 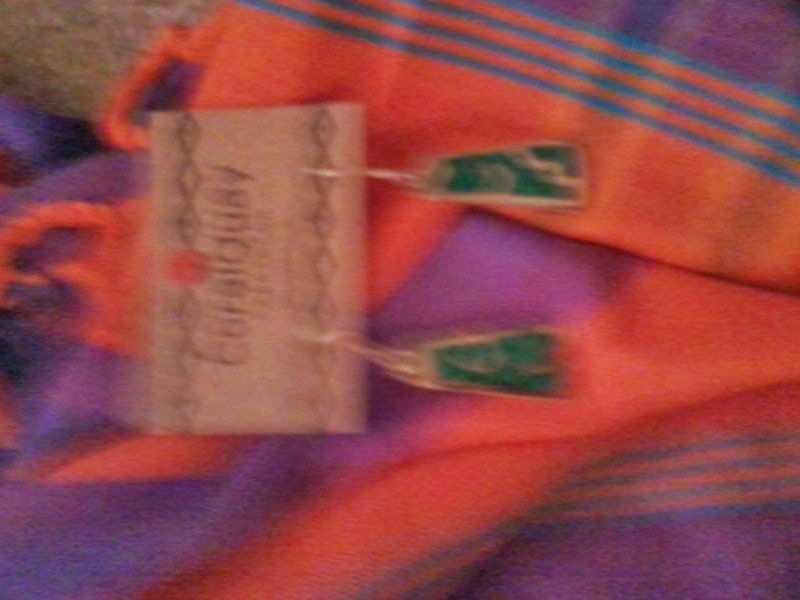 The earrings came from the same shop and were perfect. I’m wearing more pendant earrings now so I’m always grateful for additions to the collection. Another scarf to add to my collection. Already planning how I can wear it as a sarong as well as skirt. Aren’t they beautiful. 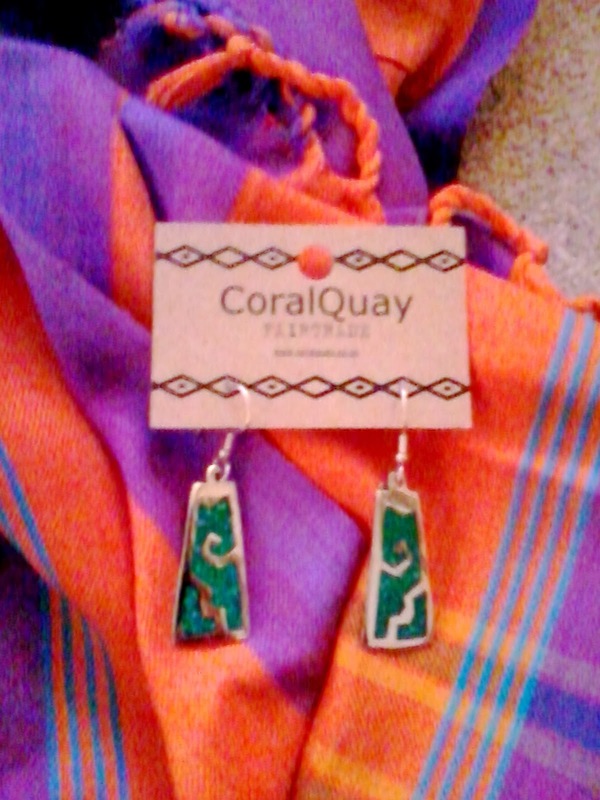 Turquoise and tribal… Oh the summery joy! 4) Socks! I’m a big foot (size 8) so am actually grateful for new socks as mine wear out really quick. I love their soft, fluffy newness! So soft and fluffy. Thank you! 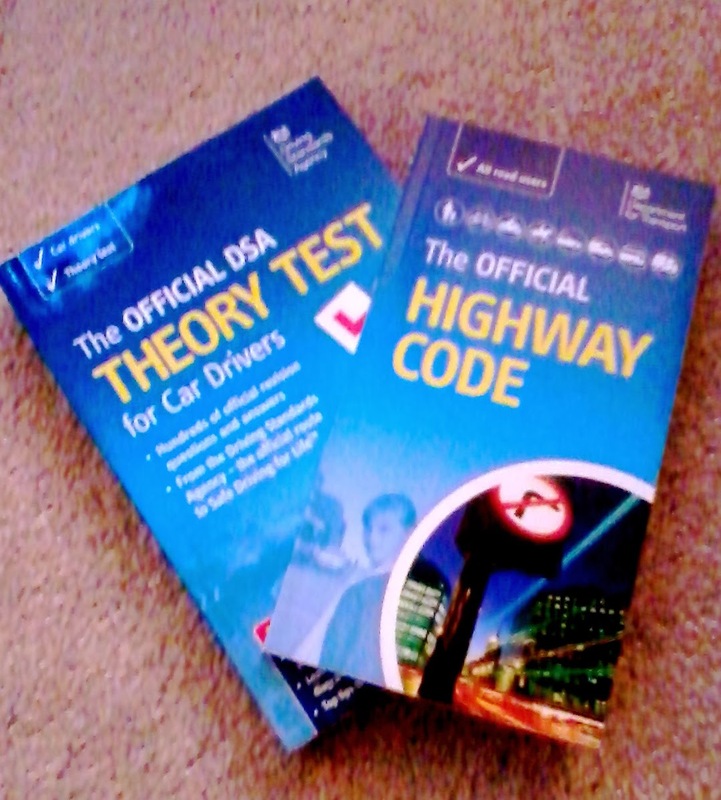 Guess what I’m learning to do! Keep off the roads round Wiltshire. 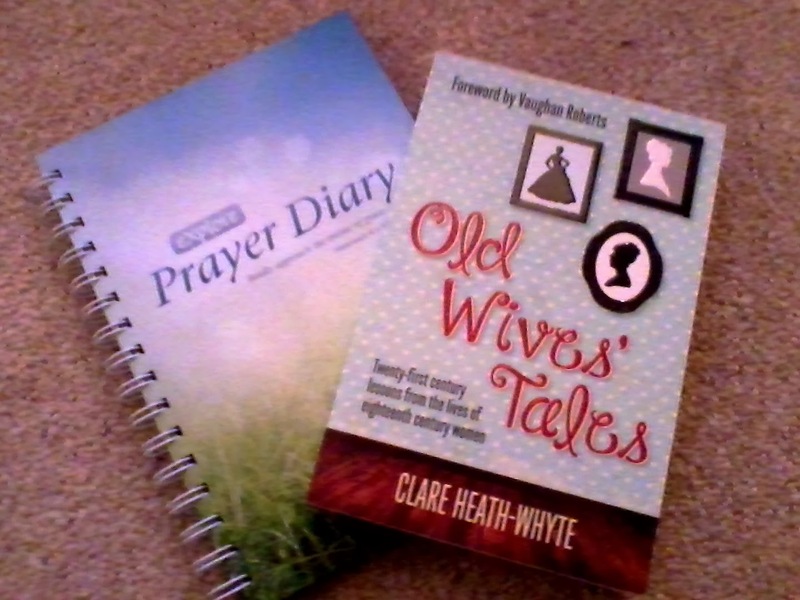 A prayer diary is always great and useful when you’re as awful at remembering prayer requests as me. But it’s Old Wives’ Tales I’m looking forward to as it provides short biographies of women who lived during the 18th Century revival. 6) Stonehenge… yes, my father is more obsessed with my place of work than myself. Ranging from the helpful (gloves, tights and Buff) to the silly (an outdated guidebook), he made sure he used his new found present inspiration to it’s fullest extent. I can tell you the Buff and gloves work, having tested them today at work. 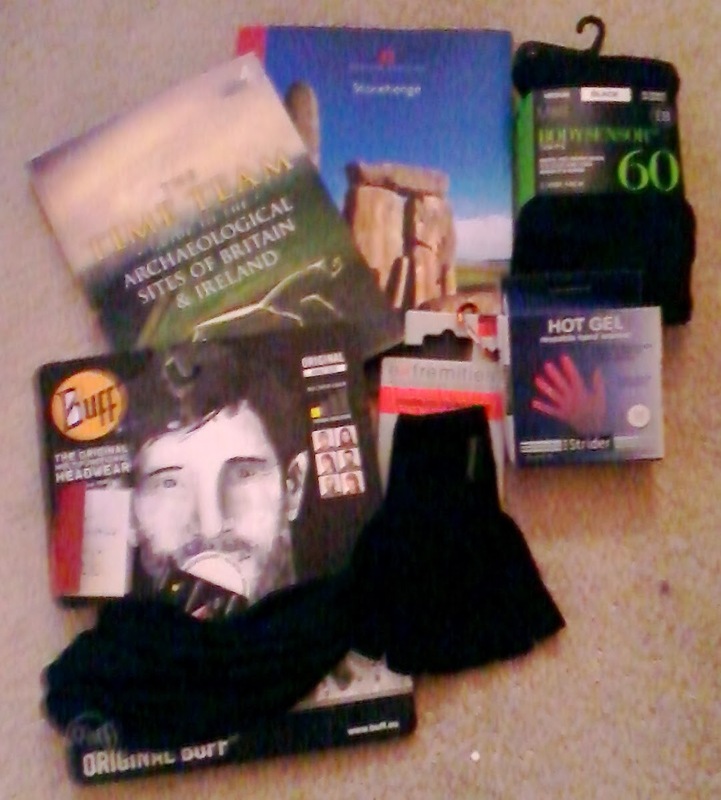 Also included in the work-themed gift spree are; The Time Team Guide to Archaeological Sites of Britain and Ireland, Stonehenge Guidebooks, Marks and Spencers bodysense tights and hot gel hand warmers. Thanks Dad (I think). After the presents was the food… and more photo opportunities! Mum’s cooking was fantastic and the after dinner entertainment superb. Our menu included: roast turkey, cold roast ham, butternut squash mash, roast potato, carrots and parsnips, brussel sprouts, braised red cabbage, pigs in blankets, and pork and red pepper stuffing balls. This was washed down by red wine or elderflower press and followed with Christmas pudding. Thank you Mum for a wonderful meal! 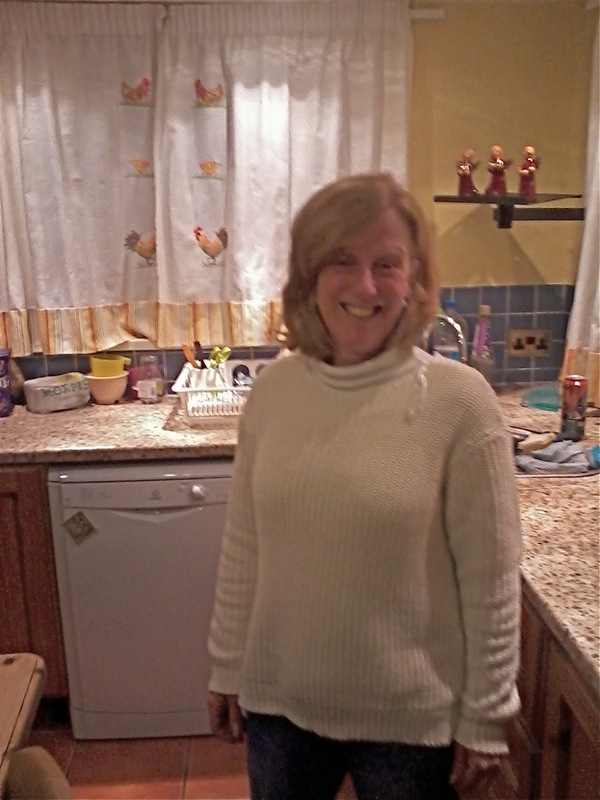 Our most talented cook, my mum. In my opinion. 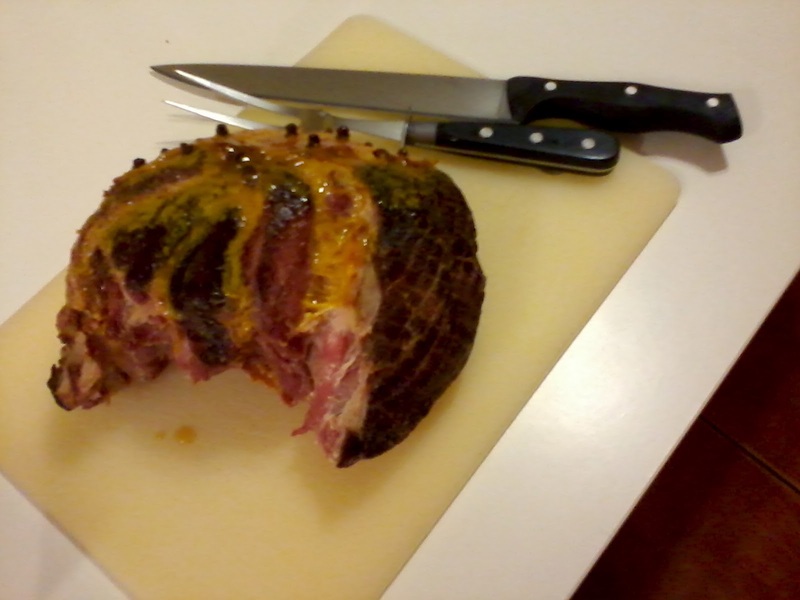 the star of the Christmas table… the roast ham! 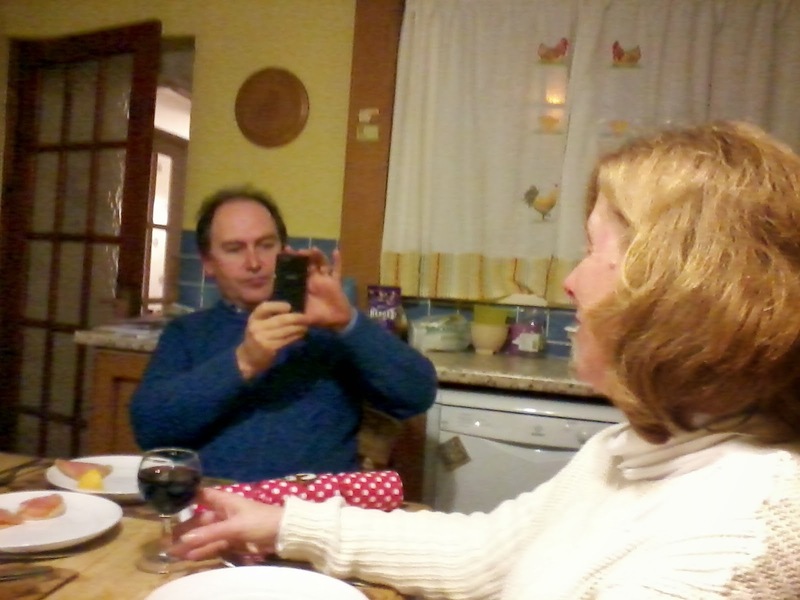 Ooooh, a lull in the activities (just finished smoked salmon starters). Time to get snapping! 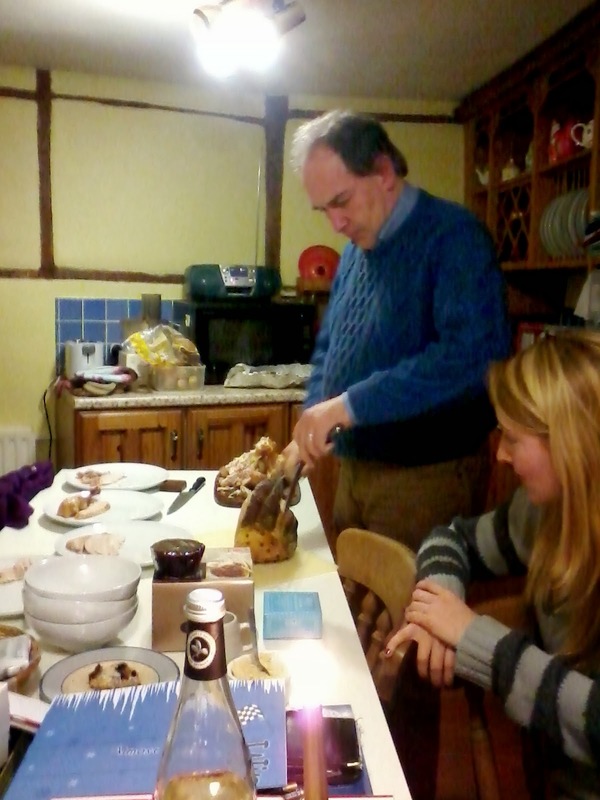 Carving the ham… I was near salivating at this point. Between the main and pudding we pulled our crackers. 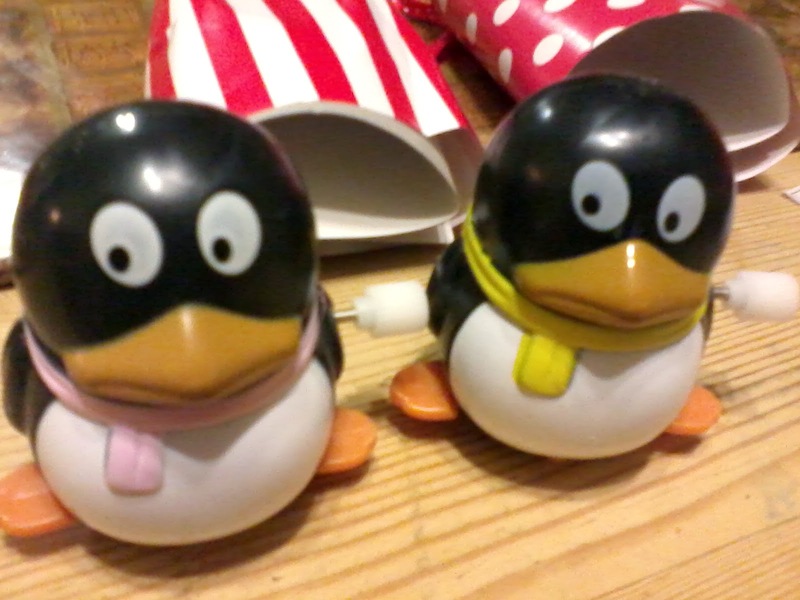 Instead of random toys, we were rewarded with racing penguins! 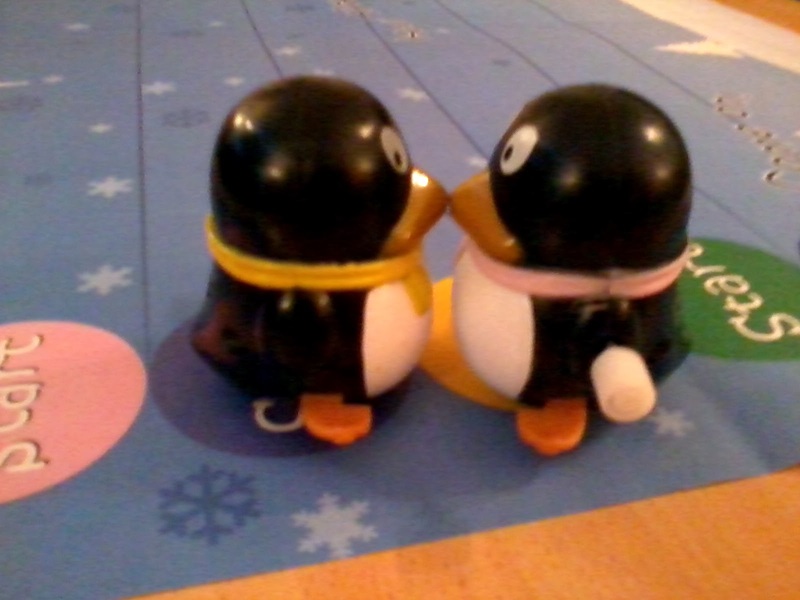 We then proceeded afterward to race said penguins but the winners were largely undecided. This may have had something to do with the penguins inability to move in a straight line. But still great fun! 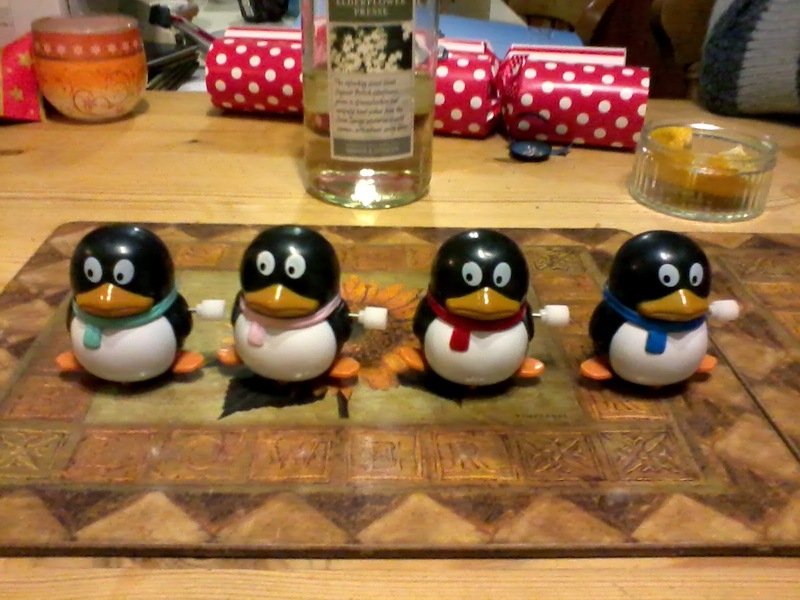 The original four penguins (before we pulled crackers 5 and 6). 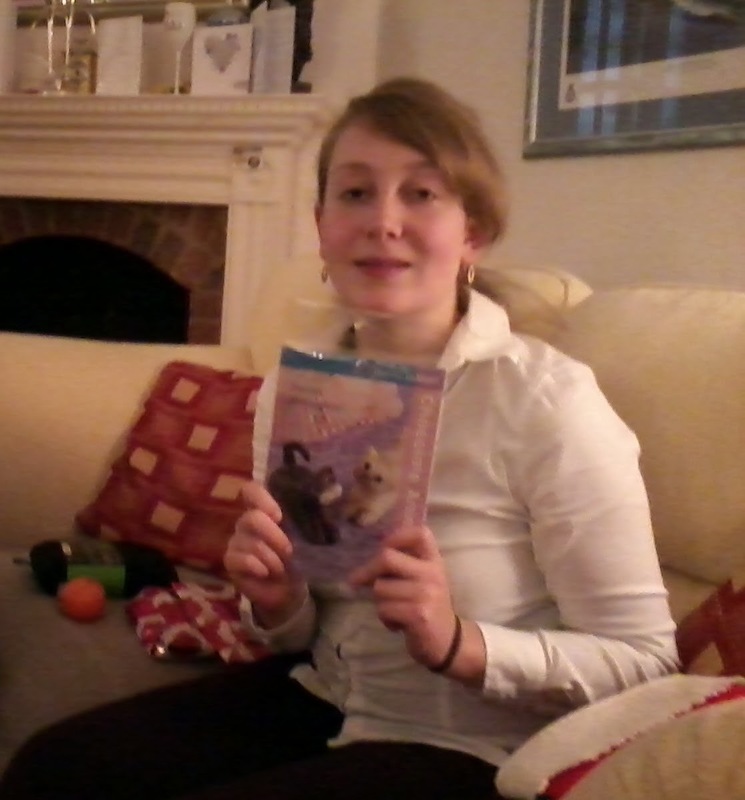 Our wonderful Christmas then ended with Indiana Jones and the Temple of Doom. 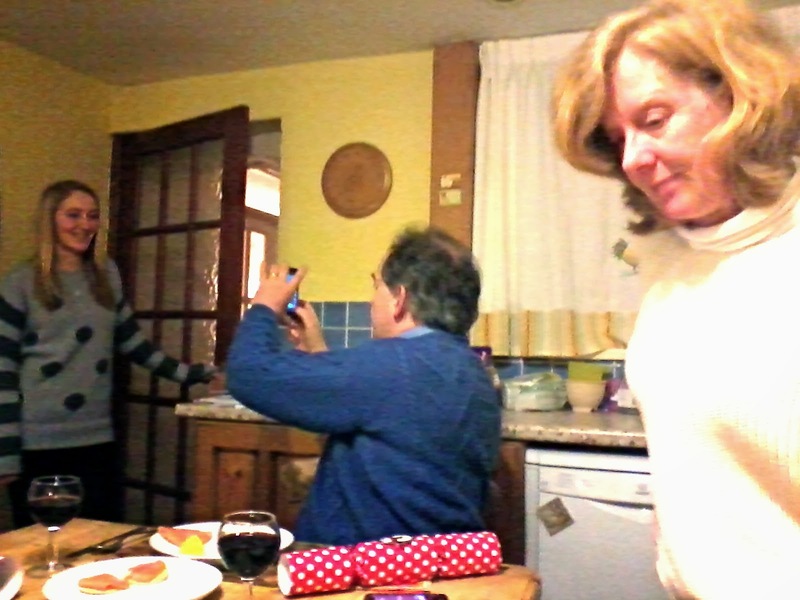 And there you have a typical Christmas with my family. What did your Christmas look like this year?